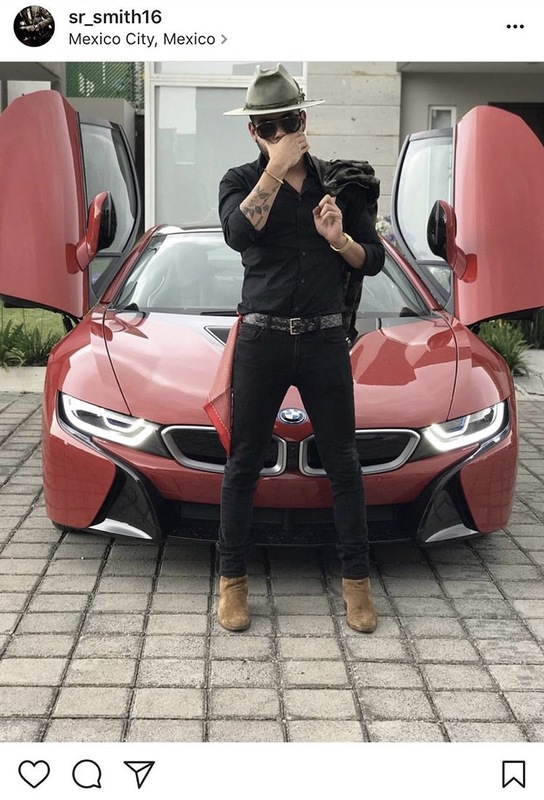 On Tuesday morning, the driver of a red BMW i8 suffered an armed attack in Zapopan Jalisco. 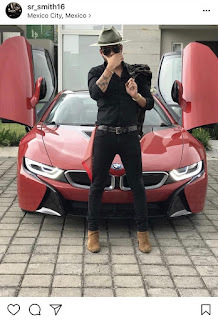 According to Proceso the car has an estimate value of 2.7 million pesos, and the Ministerial Power APRO believes that the victim was a member of the Cartel de Jalisco Nueva Generacion, which is an organization headed by Nemesio Oseguera, El Mencho. The driver of the BMW died moments after the aggression, and according to documents of law enforcement agencies, his name was Marcos Hernandez or Alejandro Ruano, El Karton and he belonged to a cell of "El 2", which has the objective to eliminate Carlos Enrique Sanchez Martinez or Miguel Angel Sanchez Solorzano and Luis Emmanuel Rodriguez Cerros, aka "El Cholo". It’s relatively easy to spot bones in the desert. Bleached by the sun and set against the brown, sandy soil that’s peppered with sagebrush and mesquite, they almost glow white. Once you start looking it seems they’re everywhere. Mostly it’ll be a rabbit’s skull or the hip bone of a small mammal. Sometimes, though, they’ll belong to a human. On April 22 , there were ribs, a shoulder blade, a clavicle, a piece of vertebrae and a jawbone. There was also a pair of dark-coloured trousers, size 9 Adidas trainers and a yellow wallet with a Tasmanian Devil cartoon on the flap. Inside was a photocopy of an ID card which read: Republica De Honduras. Filadelfo Martinez Gomez. Date of birth: 8 August, 1992. This is America’s secret graveyard, where families are forbidden from visiting the final resting place of their loved ones, and often don’t know they are there at all. A clandestine laboratory with 2710 kilograms of "crystal", was located yesterday by members of the Secretariat of National Defense (SEDENA), while performing land reconnaissance in the vicinity of the village of Zapote Cazares, located in the municipality of Mocorito. Facilities were found where synthetic drugs are produced which were seized. "The discovery was made when the troops traversed the terrain on foot, while traveling in a gap leading to some crops and they noticed a chemical smell. They proceeded to inspect the area, locating 27 plastic containers with a capacity of 200 liters (55 gallon drum size) each containing approximately 100 kg( 220 pounds) each of a granular ''crystal substance " details. MEXICO CITY (AP) — Seven people have been murdered in the beach resort of Acapulco as the city continues to grapple with a violent crime wave, Mexican authorities said Wednesday. 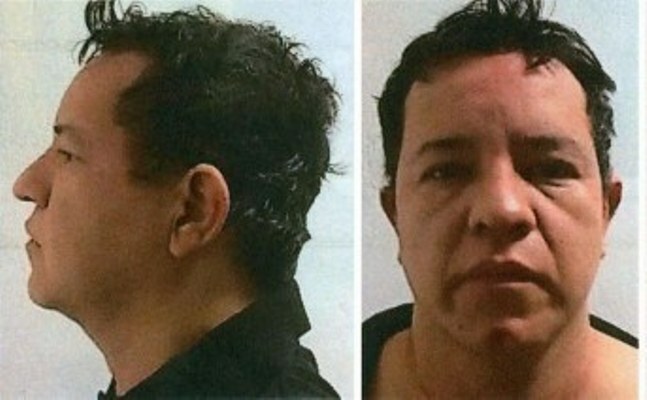 Lucero Guadalupe Sanchez Lopez, "La Chapa Diputada"
In a US Federal Court appearance in Washington, D.C. that lasted only 16 minutes Lucero Guadalupe Sanchez Lopez pled innocent to the charges of drug trafficking imposed upon her. Judge Michael Harvey accepted the petition to keep her in custody and scheduled another appearance with Judge Robin Meriweather on Friday, Sept 1, 2017 to resolve the issue of Sanchez Lopez's incarceration while the trial is pending. According to court records - as cited by the newspaper Reforma - the judge also issued an "alert on the physical and / or mental health" of Sánchez López, directed to the Medical Unit of the Department of Corrections of the District of Columbia, which has her under Custody. The 28-year-old former deputy from Sinaloa had asked to remain in San Diego,Ca - where she was arrested last June - but was transferred on Friday, August 25, to Washington DC by the US Marshals Service, in answer to an emergency appeal to the San Francisco-based Ninth Circuit Court of Appeals. 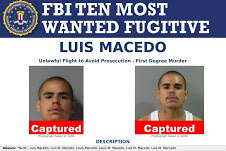 After eight years of evading justice, Chicago's Luis Macedo , who was on the FBI's list of 10 most wanted fugitives, is now in custody, announced Michael J. Anderson, a special agent in charge of the FBI's field office In Chicago. 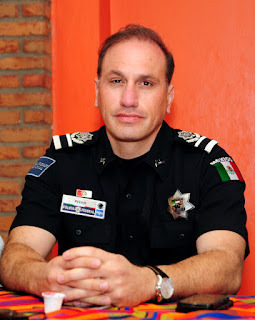 Through a statement it was announced that Luis Macedo was apprehended on Saturday, August 26, 2017, without major incident in Guadalajara, Jalisco, by Mexican immigration agents in that state in close coordination with the FBI aggregate from the United States Embassy in Mexico City. Macedo was placed on the list of the 10 most wanted fugitives in May 2016. Macedo is in FBI custody and will be turned over to local authorities upon arrival in Chicago. It works like this, you get recruited, and you recruit a few friends, you give up your account number, and maybe create a new account, and the money starts coming. One day you have 1,000 in your account, overnight, deposited from a city on the East Coast. By the end of the week, you will have over 5,000, or 30,000, all deposited in amounts under 10,000. You take out $950 or so, each time, (minus the $50 per 1k, which is yours to keep) from the ATM, or bank, and hand it over to William Quintero, or someone very much like him. Drugs seized in the investigation, note the gold engraving on the pistol. 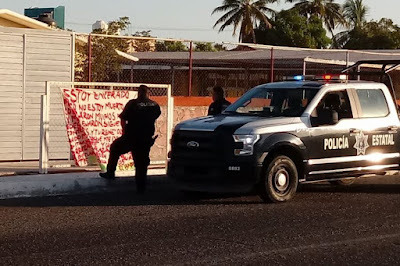 Los Mochis, Sinaloa.- It took three years and a month for Mirna Nereyda Medina Quiñónez, leader of the group known as Las Rastreadoras de El Fuerte, to find her son Roberto Corrales Medina, who was deprived of his freedom and subsequently murdered on July 14, 2014 when he was selling CDs at a gas station in the municipality of El Fuerte. On July 14, 2014, Roberto Corrales Medina arrived from the municipality of Choix at the gas station located at the main entrance of El Fuerte where he worked, with his box in which he kept his merchandise ready to offer music for all tastes, without imagining what awaited him. It was 17:45 on a hot afternoon, when a black Explorer SUV type vehicle stopped and someone spoke to him. Roberto left his box next to one of the gas pumps at the station and went to answer the call of the occupants of the vehicle. That was the last time he was seen alive as the subjects forced him into the unit and took him away. His merchandise was abandoned and he no longer answered his cell phone. When he disappeared, Las Rastreadoras were born. Acapulco, Gro, Mexico: From the crescent bay and swaying palms, the taxi drivers of Acapulco need just 10 minutes to reach this other, plundered world. Here, in a neighborhood called Renacimiento, a pharmacy is smeared with gang graffiti. Market stalls are charred by fire. Taco stands and dentists’ offices, hair salons and auto-body workshops — all stand empty behind roll-down metal gates. On Friday afternoons, however, the parking lot at the Oxxo convenience store in this brutalized barrio buzzes to life. Dozens of taxi drivers pull up. It’s time to pay the boys. The United States Department of State has recommended not to travel to 15 of Sinaloa's 18 municipalities, because of the risk of "activities of criminal organizations in those areas. The shootings between rival criminal organizations or with Mexican authorities have taken place in streets and public spaces in broad daylight," the statement said. The only unconstrained Sinaloa towns are Mazatlán, Los Mochis and Topolobampo. On Thursday morninig the 24th of August, a narco manta appeared in the children's playground of Marcelo Rubio in the Las Arboledes colonia, in the Town of La Paz, Baja California Sur. The signature corresponds to Abraham Cervantes Escareaga, alias "El Babay". The manta appeared just about 24 hours after the execution of the ex Deputy Attorney General of the Office of the Attorney General for Justice in the state (PGJE), in the fraccionamiento Juarez, he was the defence lawyer for El Babay, who was arrested on the 19th of June and transferred to the offices of SEIDO on the 27th of the same month. The manta appeared hanging on the school site located in the streets of Marcelo Rubio and Colima, it was around 08:00 am that it was discovered by members of joint command, who attended the scene. 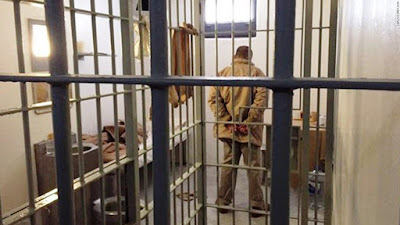 The narco manta makes reference to "I am locked up but not dead", in addition it makes a direct threat against security elements of the PGJE that operated with him, making clear his anger though he remains behind bars. MEXICO CITY -- Soldiers in northern Mexico say they have seized a surprisingly large stash of the powerful opioid fentanyl from a truck near the U.S. border. The Mexican Army's Second Military Zone said late Monday that soldiers at a highway checkpoint found over 140 pounds of Fentanyl on Saturday packed in plastic-wrapped bricks hidden behind sheet metal in the insulated floor of a truck trailer. Soldiers also found three bags containing almost 30,000 pills, apparently also containing fentanyl. The driver and a youth accompanying him were detained. After two months of exile, Margarita López has returned home. Her home, in Ahuihuiyuco, municipality of Chilapa, Guerrero, looks "more unkempt," she says. Her husband died, the dogs were eaten, and two horses disappeared. "That's what we were going to eat, now that we owe money," she says, feeding the few chickens that survive him. Margarita's family left their home on June 9, when criminals warned the inhabitants that they would kill any settlers in this region if they stayed on. The threats rained down on them in papers that they threw in the plaza in front of the church, the Zocolo of Ahuihuiyuco. Then, psychosis spread through social networks and on June 10 Ahuihuiyuco and Tepozcuautla were deserted. More than 580 families moved. 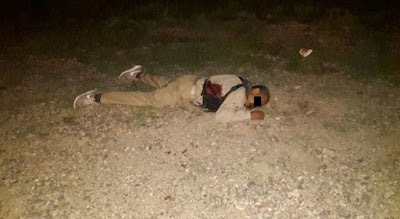 Elements of the State Police and Military had a confrontation with members of the Cartel del Golfo, on the outskirts of the Rio Bravo, Tamaulipas, at this time it is unknown if there are dead or injured. 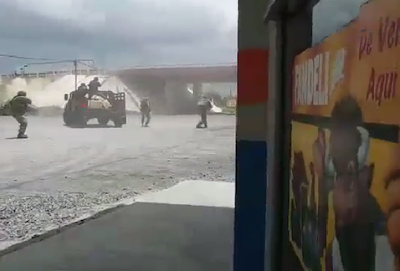 According to a video shared on social networks, the Sicarios fled in a Cherokee armored jeep on the Rio Bravo - Valle Hermoso highway, when two groups of Military saw and engaged them. In the images one can observe how a citizen shot the video of the confrontation from inside a restaurant. The Military elements fired at them for a full 30 seconds a breach 109. He was in Mexico’s protection program, yet reporter Candido Rios and two other men died after being shot by unknown assailants in Veracruz, local police said in a statement. The correspondent of the Diario de Acayucan and founder of La Voz de Hueyapan Ríos was gunned down late Tuesday by a commando when he was outside an Oxxo store located in the town of Juan Diaz Covarrubias, municipality of Hueyapan de Ocampo, Veracruz. Ríos became the ninth journalist murdered in Mexico so far this year and the 20th in that region in 10 years. The 9 include; Eight other Mexican journalists and a Honduran cameraman who had taken refuge in Mexico. He was incorporated into the program for the Protection of Human Rights Defenders and Journalists of the Ministry of the Interior, because he had received several threats. 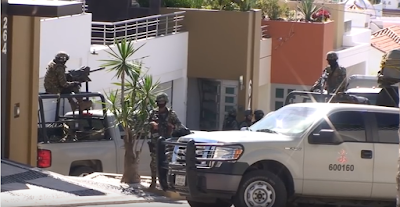 In an attack perpetrated by two armed men, six persons were assassinated, and in a later confrontation, the Military killed one of the attackers, in the Town of Jimenez, informed the Attorney General of the State (FGE). The two attackers were travelling in an Expedition Van and after the aggression fled. 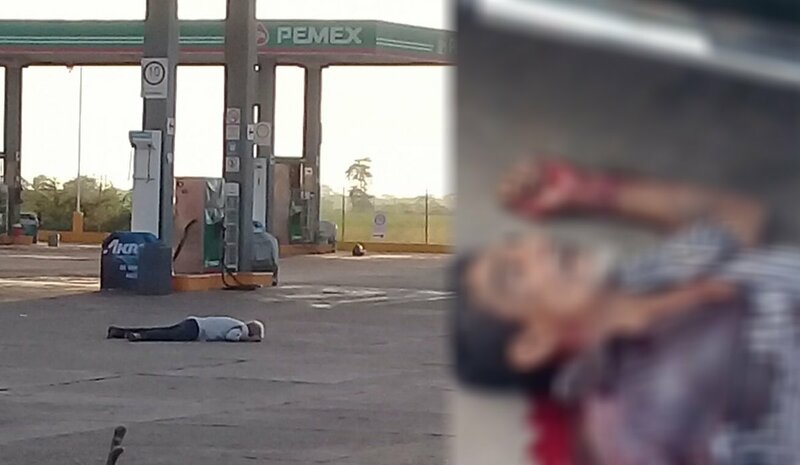 "When they retired, they encountered the Military as they exited Jiminez, close to the Installation of the Federal Police, where they had a confrontation with the Military, who killed one, and wounded the other who they took in custody", assured Carlos Huerta, spokesman for the area. The events occurred during early Monday morning in a place known as La Curva, according to the primary reports, the two attackers belonged to the criminal group Gente Nueva. A video shows the moment when suspected members of the Mexican cartel "Los Rojos" forced the mayor of the municipality of Mazatepec, Morelos, Jorge Toledo Bustamante, to commit to the delivery of 5 million pesos ($ 270,000 USD) as payment for piso, aka right to the plaza. They also demanded the official to hire a person "who knows what he is doing" to be a liaison between the criminal group and the municipal administration. Toledo basically refuses to pay and even ensures that he will give up his position first. He explains that he was forced to reduce his salary in half because in the municipality there is no money, so he asks his interlocutor, to tell his "boss" that he wants to talk to him. 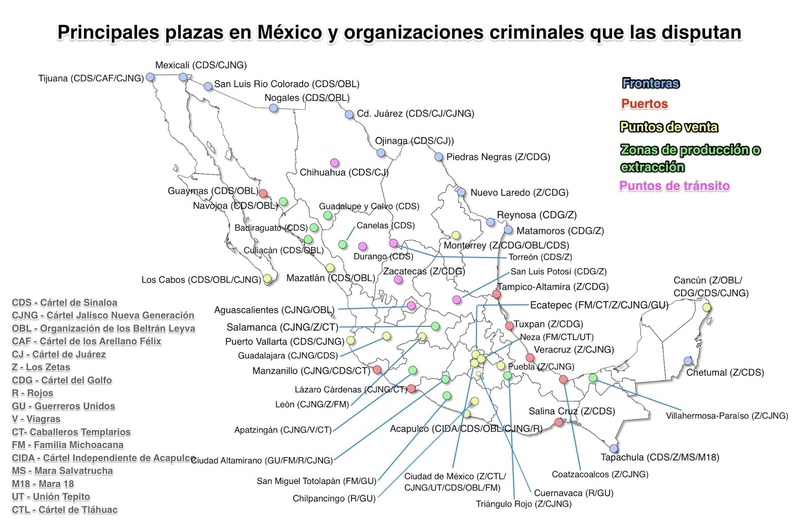 When we talk about cities in Mexico having security issues, most people think of the municipalities where there is high number of intentional homicides recorded, such as Acapulco, Tijuana, Culiacan, Ciudad Juárez or Chihuahua City. However, there are smaller municipalities that have homicide rates per capita  that exceed two, three, four or even five times those of the five aforementioned municipalities. These are municipalities that are off the radar of the authorities, and national media, therefore, their security crises have been neglected. Nor do they often receive federal support, even though their police agencies have an inadequate number of police personnel and insufficient equipment. For example, in recent years, most of them have not been approved for requests for resources  from SUBSEMUN [Subsidy for Security in the Municipalities a federal resource that is granted to some municipalities]  or FORTASEG (a subsidy that is granted to municipalities and, where appropriate, for the strengthening of security issues) , even though it is precisely in those municipalities where support is most needed. There will be one more joining the family members and trafficking networks of Sinaloa cells, now waiting in purgatory at the San Diego MCC. 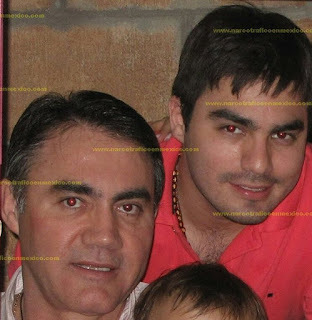 Alvaro Lopez-Nunez, brother of Damaso Lopez, and uncle to Damaso Lopez-Serrano, was taken into custody yesterday by the DEA. Lopez-Nunez was arrested at the Nogales Port of Entry, according to a Press Release from the San Diego US Attorney's Office, posted today. Lopez-Nunez, 38, was one of several names which appeared redacted on the indictment filed in August 2016 in the Southern District of California, for the arrest of Mini Lic, and Nahum Abraham Sicarios-Montalvo, aka El Quincenerao. He is charged with conspiracy to import cocaine, methamphetamine, and heroin, likely linked to seizures that took place in 2015, with tractor trailers loaded with drug shipments were seized by SEDENDA acting on federal task force intelligence. OAKLAND — While a Hayward man allegedly was posting pictures of Xanax, pot, and guns for sale on Instagram, Drug Enforcement Administration agents were busy taking screenshots. Last week, federal authorities made their move, arresting 20-year-old Marcos Hatch on charges of trafficking alprazolam, a drug used to treat anxiety. He faces five years in prison, but court documents indicate that the Bureau of Alcohol, Tobacco and Firearms is reviewing the case to recommend federal gun charges be filed as well. 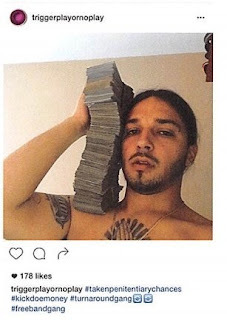 According to a DEA affidavit released Friday, authorities came across Hatch’s Instagram account while researching another suspected drug dealer named Christian Vanleer. It all started when an undercover Oakland policeman requested to follow Vanleer on Instagram and he accepted, unwittingly allowing the feds access to his pictures and follower lists. As Damaso Lopez-Serrano adjusts to live in the Metropolitan Correctional Center in downtown San Diego, a looming structure overlooking the city, and the bay, his close associate Jesus Manuel Salazar-Nunez has pled guilty, on the day he was scheduled to go to trial, in the court of Dsitrict Judge Dana Sabraw, who is overseeing prosecutions against Chino Antrax, and Serafin Zambada-Ortiz. He pled to a three count indictment, conspiracy to import cocaine, methamphetamine, and heroin. 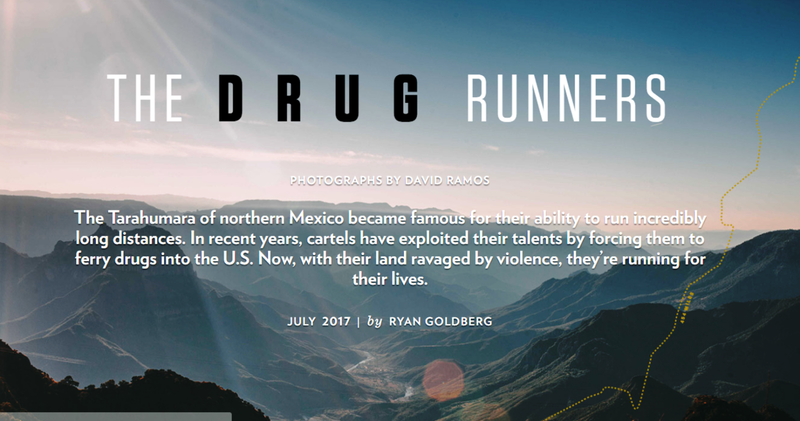 All these cases, the flow chart of how drugs are trafficked across the country through San Diego, stem from Operation Narco Polo, which will be the defining investigation that brought down the Sinaloa Cartel, as we knew it from 2006 to 2015. 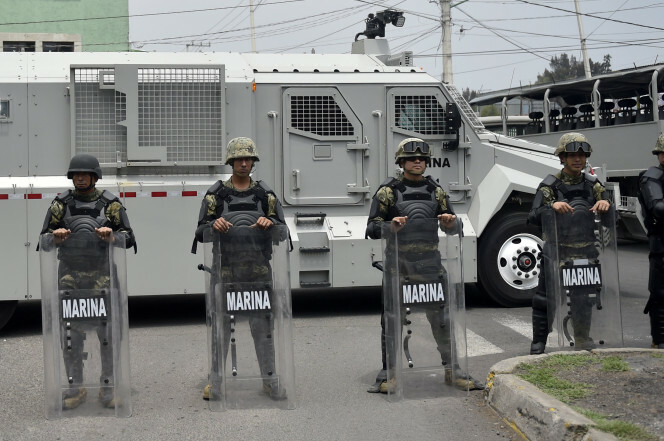 Every day in various parts of the country there are armed clashes between groups of organized crime, which seek to control as many municipalities as possible. It is a rampant race among dozens of organizations, where the will never be a definitive “winner”. Even so, these criminal groups have incentives to try and expand their areas of influence and keep the plazas that are under their control. La Joya is a tiny Texas town which dots the southern border having a population of 4000. It appears that Hernandez hoped to use his police chief position to bump-start a political career. He was a candidate for Hidalgo County sheriff, with unsuccessful bids for the Democratic Party nomination in 2012 and 2014. He later attempted an unsuccessful write-in campaign in November’s general election.Hernandez replaced former chief Julian Gutierrez, who was fired by the La Joya Mayor. Gutierrez had worked as a lieutenant in the department before he replaced former chief Jose Del Angel, who committed suicide in 2011. 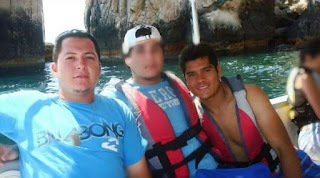 In the criminal complaint against Hernandez, it is alleged that Hernandez told an informant that he was “close friends” with CDG leader “El Toro”. Read details in the complaint at bottom. A Mexican federal police officer who captured drug lord Joaquin "El Chapo" Guzman in northwest Mexico last year was moved for his own safety to a posting at the Mexican embassy in Washington, DC, according to two Mexican law enforcement sources. 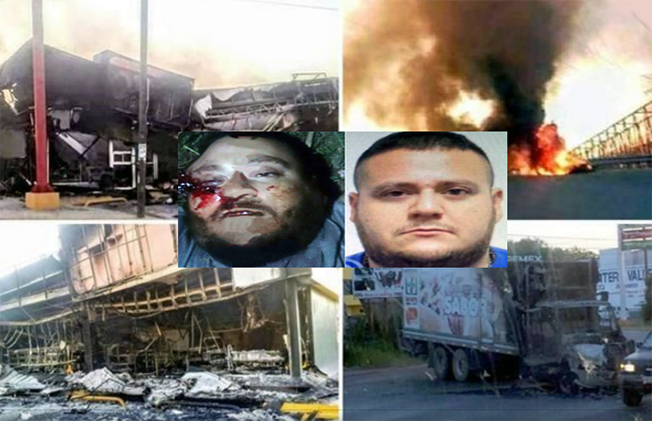 Nicolas Gonzalez was a senior federal police officer in the northwestern state of Sinaloa during the January 2016 capture of Guzman, the sources said. Gonzalez is now Mexico's law enforcement emissary in Washington, according to the sources and the Mexican foreign ministry website. Currently awaiting trial in New York after being deported to the United States, Guzman was re-captured in the Sinaloa town of Los Mochis. 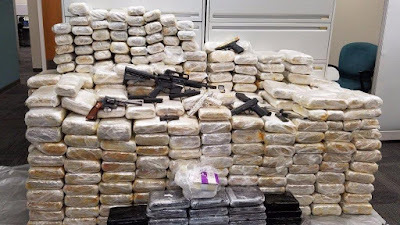 The kingpin, who ran the feared Sinaloa drug cartel, had been on the run after infamously escaping through a tunnel from his high-security jail in 2015. In January, a lone gunman entered the trendy Blue Parrot nightclub in the upscale Mexican resort town of Playa del Carmen and opened fire. Chaos ensued as the crowd scrambled for cover as the gunman traded shots with another man inside the club and security working the annual BPM music festival tried to suppress the melee. When the bullets stopped flying in what is believed to be a drug cartel-related gunfight, five people were dead – including a Canadian bodyguard caught in the crossfire and an American teenager who was trampled to death as panicked partiers fled the club. 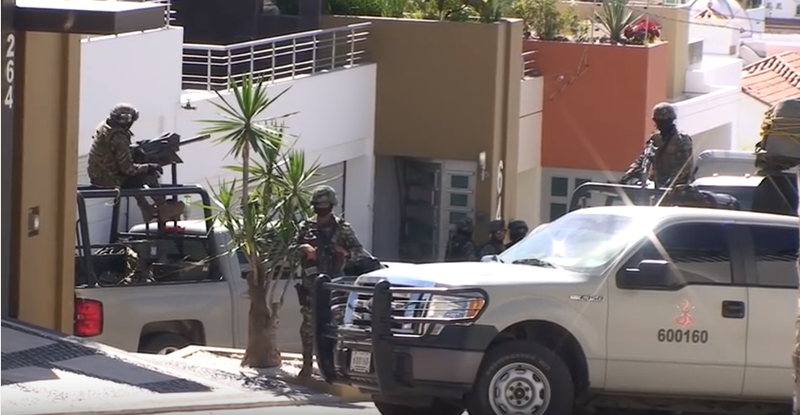 On Sunday, sunbathing tourists were forced to take cover on the white sand beaches of Los Cabos – a popular getaway at the southern tip of Mexico’s Baja California Peninsula – as gunmen unloaded and left three people dead. There are signs. Messages in the bodies, signals in the bound, executed bodies, who lay in the sun, or sit in the dark, until they are discovered. There are patterns in the bullets, the ring of heavy arms firing from shoulders of men wearing t shirts and jeans, chasing down another, emptying bullets into the fleeing, until they are lifeless and bleed out, onto the pavement. There is a sense of familiarly and foreboding in the coolers with body parts, with lifeless severed heads, twisted expressions and slicked, damp hair, eyes staring out of the OXXO coolers. The mass graves, the fosas, the digging, shovels and heavy equipment, unearthing the secrets men tell, when they are alone, tired, beaten and bloody too, they whisper "I will tell you where there are bodies". Where we buried the bodies. In the early hours of Thursday morning, August 9th, in an inner colonia in La Paz, Diana Laura a man's body was discovered, as have many since the narcounemdo wars came to the city in 2014. The man was Emillio "El Capote" Ibarra Penuelas, cousin of Javier Antonio Orozco Penuelas, "El Chuletita", who played for Tampico Madera league. Ibarra-Penuelas was confirmed to be "dedicated to narcocomunedo" in Laz Paz, by the state intelligence agencies. 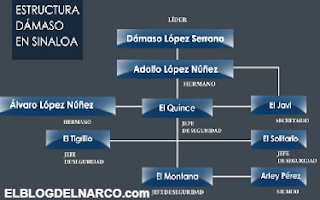 Bands of narco retailers sometimes aligned and sometimes loyal to factions of the Sinaloa Cartel, and increasingly the CJNG bloody the streets of La Paz to control the sales of drugs, mainly crystal among the colonias. Until July 27th, the U.S. state department failed to warn travelers of tainted alcohol, served at resorts and clubs causing blackouts. 36-40% of Mexican alcohol is counterfeit, made by cartels. 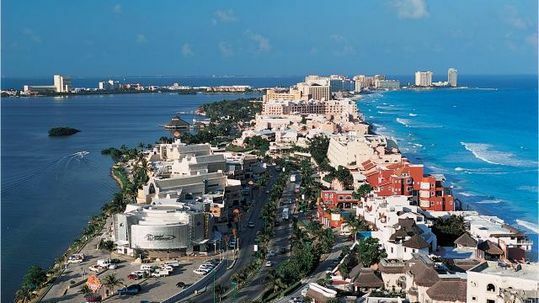 Mexican authorities swept through 31 resorts, restaurants and nightclubs in Cancun and Playa del Carmen in recent days, suspending operations at two for unsanitary alcohol and in the process discovered a sketchy manufacturer that was supplying tourist hot spots. Regulators seized 10,000 gallons of illicit alcohol from the company, noting its “bad manufacturing practices,” according to government officials. They did not release the company's name. 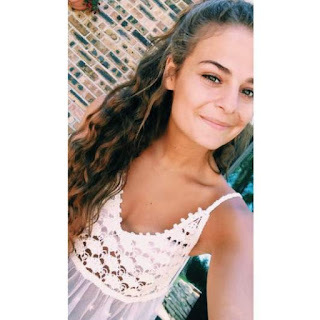 Among those suspended: the lobby bar in the Iberostar Paraiso Maya, a resort in the complex where Abbey Conner, a 20-year-old Wisconsin woman, (at left) drowned amid suspicious circumstances while on vacation with her family in January. Other vacationers later told the Milwaukee Journal Sentinel they had blacked out and been assaulted at the resort after drinking at the beach and pool bars. Rush hour starts early on Heroin Highway, generally by 6 a.m. Hockey dads in sport-utes; high school teens in car pools; commodities brokers and pensioners making their early-morning runs into Chicago on I-290. The Eisenhower Expressway – the Ike, as locals call it – is a straight shot in from the western suburbs to the mob-deep blocks of West Chicago. So Gangster Disciples and Vice Lords are up with the sun to pitch their work to the early birds, hugging the corners under the Ike's offramps to do much of their day's business by 8 a.m. Since cheap, potent heroin flooded Chicago 10 years ago and addicted a bell-cow demographic – middle-class whites – those corners off the Ike have become bull markets for gangs strong enough to hold them down. "They serve you in your car, quick-out in under a minute, and you're back home in Hinsdale before the kids wake," says Jack Riley, the ex-special agent in charge of the Chicago office of the Drug Enforcement Administration. "That's why gangsters kill for those corners. They're the Park Place and Boardwalk of the drug game." Riley, the town's most famous federal agent since the days of the Untouchables, put together a strike force that jailed the major kingpins and left the gangs rudderless and scrambling. "We knocked down the big guys – the suppliers and OGs – but the young ones started killing their way up. That's what happens when you get your targets: The gangsters don't know who they work for." Actually, even before his strike force rolled up the leaders, no one here knew who they really worked for. Riley estimates that Mob City has 150,000 gangsters in residence – and though most are in endless wars with one another, they've all blindly served the same master for 10 years: Joaquín Guzmán Loera, better known as El Chapo. The king of all kings has likely never set foot here, though he made this city his American office, trucking heroin (and coke) from Mexico by the metric ton and taking billions of dollars out in small bills. Chicago has been a most congenial hub for Chapo. Centrally located and braided by interstates, it is a day's drive, or less, from most of America – and from the Mexican border. 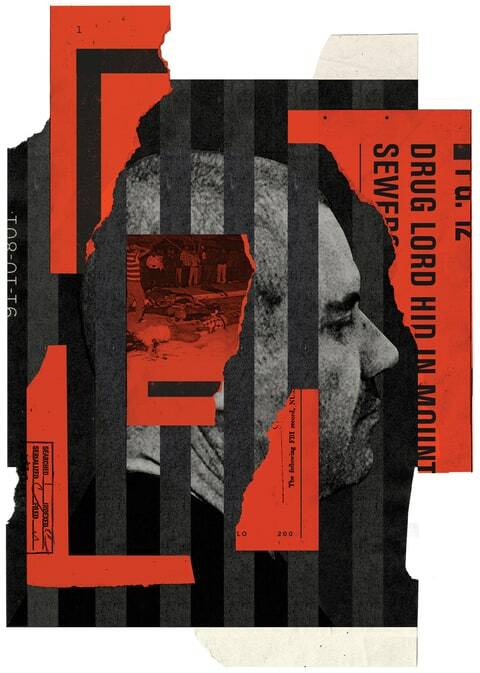 Detroit — A pediatrician, a horse groomer and a barber walked into a Novi drug den last month, triggering the second-largest heroin seizure in Metro Detroit history and a $4.5 million mystery federal agents are still unraveling one month later. Federal agents are tracing the oddball backgrounds of the three men and their possible ties to a Mexican drug cartel after finding $500,000 and 88 pounds of heroin in the Novi condominium. The heroin was packaged in bricks of a brown powdery substance and DEA agents fear the drugs were laced with fentanyl, a powerful pain medication fueling the nation’s opioid epidemic that is so toxic a drop small enough to fit on the tip of a pen is considered fatal. 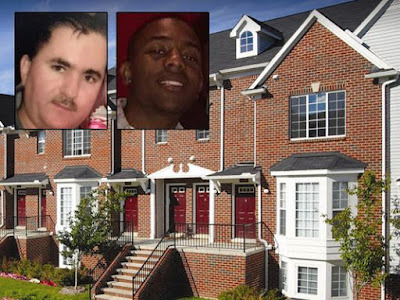 Interviews and federal court records indicate the July 10 bust disrupted a heroin pipeline stretching from Mexico to Metro Detroit and involved a cast of characters who made repeated trips to the area in recent months. 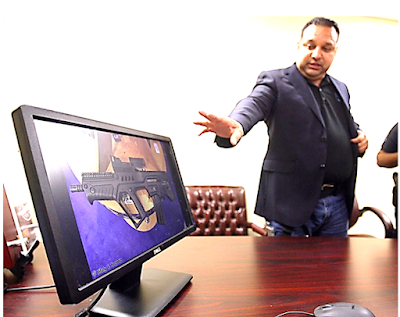 “Oh, there is more to the picture than meets the eye,” said defense lawyer Elias Escobedo, who represents Adolfo Verdugo Lopez, the 51-year-old pediatrician who hails from the Sinaloa drug cartel’s home turf in Mexico. Note: In Mexico there is no punishment for escape or attempted escape. 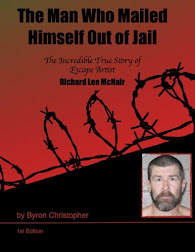 The caveat; there were no crimes committed while the escapee is free. 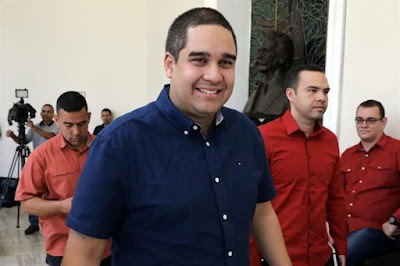 Even though the Attorney General considers Jesús Peña González a high-ranking narcotrafficker in the Sinaloa Cartel, the criminal proceedings against him are a series of screw ups. Documents from the District Court and the Collegiate Court show evidence of illegal actions by the Secretary of the Navy and the PGR, favoring the case of 'el 20', alleged chief of security for Ismael 'el Mayo' Zambada, and creator of 'Los Ántrax' along with José Rodrigo Aréchiga Gamboa, 'el Chino Ántrax'. 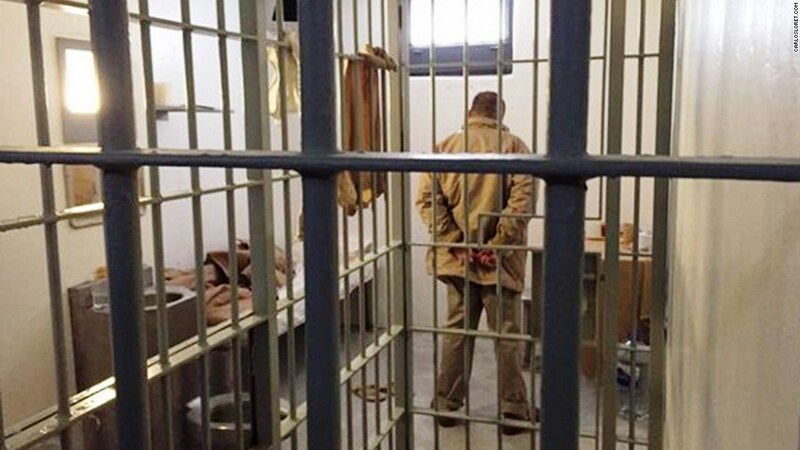 Peña González escaped from the Culiacán penitentiary last March and Peña defeated the PGR in the Supreme Court of Justice with the ratification of an amparo that annuls the conviction and sentence. It was a half hour after midnight and Silvino Cubesare Quimare was approaching the ghost town of Separ, in southwest New Mexico. Tall and lithe, his skin browned from years of laboring under the desert sun, he strode through the darkness. Strapped to his back were two homespun burlap packs, one filled with 45 pounds of marijuana bricks and the other with enough burritos and gallon jugs of water to survive another week in the wilderness. With him were five cousins and a nephew, each shouldering a similar load. 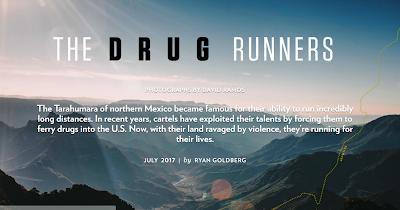 They trudged silently past the scars of an old copper mining trail, long-gone railroad tracks and trading posts that once upon a time exchanged men, minerals, and equipment across the border to Chihuahua. Up ahead, they saw the lights of a highway and knew they were within a dozen miles of their drop-off. They’d reach it before daybreak. 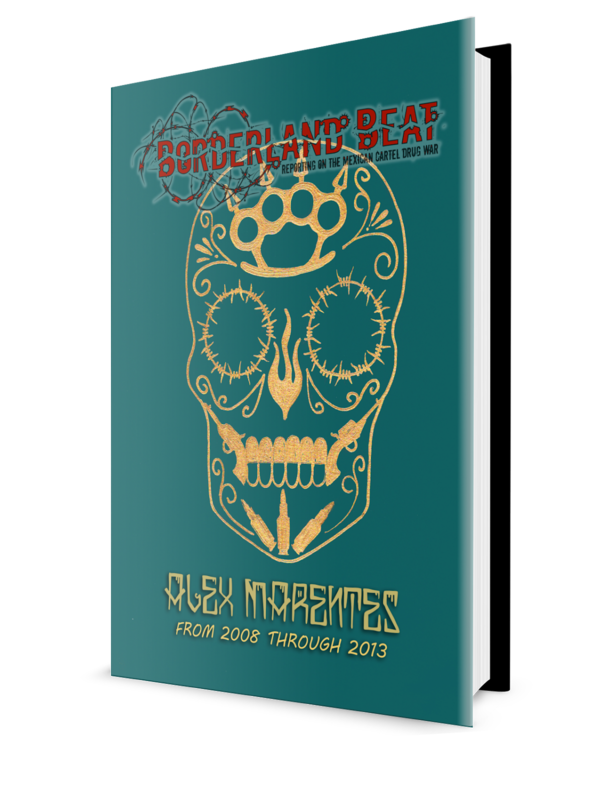 It was April 2, 2010, and over five days they had traveled roughly five hundred miles from their village of Huisuchi, in the remote Sierra Madre mountains of northern Mexico. For months, Huisuchi had been cursed with drought. Though clouds had gathered off and on over the villagers’ homes—dark, billowing masses that overshadowed their huts among the fields of corn—it had not rained. The villagers had danced, and their children had tossed handfuls of water toward the sky, asking their god Onorúame for help, but relief had not come. By early spring their corn was burned on the stalk. An ex military officer assured today that Nicolas Maduro Guerra, son of the President transported packages of unknown contents to the airport on the island of Margarita, where he affirmed persons close to the Venezuelan Government maintained meetings with the narco trafficker Joaquin El Chapo Guzman. In an interview with Canal TV Colombia, the ex Venezuelan Captain, Sunny Balza Dugarte, who is seeking political asylum in the United States assured that cargoes were delivered and sent during the night from vehicles that went directly to the planes on-loading ramps with unknown cargo. The operations, according to Balza, were carried out in the military loading area of the International Aeroport of Caribe Santiago Marino, located on the island of Margarita, and that there was no control over the airport or the narco traffickers. The ex military, who faces arrest warrants in Venezuela, did not detail that the cargo's contained illicit substances because of the type of packaging that entered the aircraft was marked as owned by the state oil company PDVSA. The Federal Police and the Navy Secretariat (Semar) yesterday detained Leticia Rodríguez Lara, aka "Doña Lety" or "La 40", identified as leader of a Cancun cartel, which conducts criminality in different municipalities of the Riviera Maya. 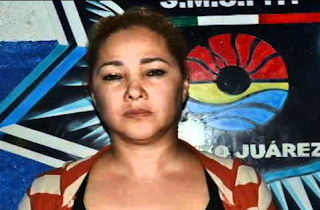 Authorities explained that Doña Lety was detained in a coordinated operation by both authorities in the state of Puebla.She was arrested on the Mexico-Veracruz highway. Investigations by the federal government indicate that Leticia Rodríguez Lara, a former agent of the Judicial Police, is originally from Veracruz. In Cancún she allied with the Cartel del Pacífico against the Los Zetas cartel to eliminate their presence in Cancún, Zetas had a lock on Cancún for years. Leticia Rodríguez Lara is investigated for homicides, as well as kidnappings and extortions committed in Cancun, and Quintana Roo, in the dispute for the control of the “plaza” (Territory, turf). The dispute is between cartels of the Zetas, Gulf and Nueva Generación Jalisco. The dispute over Cancún; The struggle for control maintained by Doña Lety, led to the formation in August 2016 of the group known as Los Combos, organized to overthrow Dona Lety. A failed attempt to assassinate Dona Lety transpired last April. 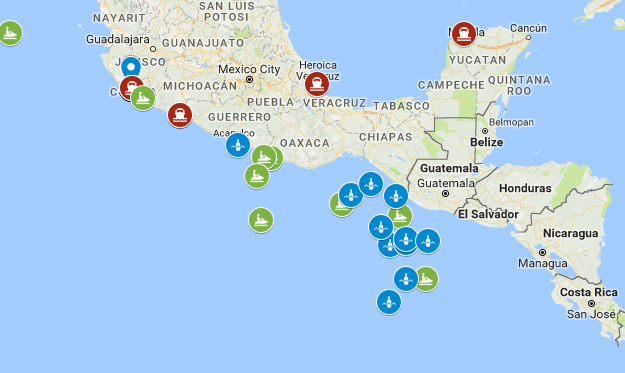 Los Combos was identified by the Army in September 2016, who told local media the presence of a new cartel in the Cancún-Playa-Tulum corridor. At present this is fractured by internal problems. 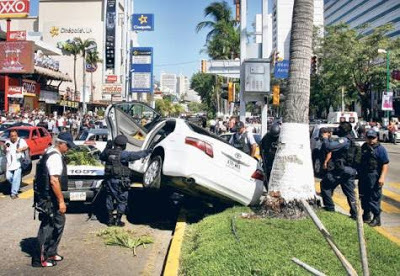 MEXICO CITY (AP) — The staff of the weekly newspaper Riodoce normally meets on Wednesdays to review its plans for coverage of the most recent mayhem wrought in Sinaloa state by organized crime, corrupt officials and ceaseless drug wars. But on this day, in the shadow of their own tragedy, they've come together to talk about security. It's important to change their routines, they are told. Be more careful with social media. Don't leave colleagues alone in the office at night. Two senior journalists discuss what feels safer: to take their children with them to the office, which was the target of a grenade attack in 2009, or to leave them at home. 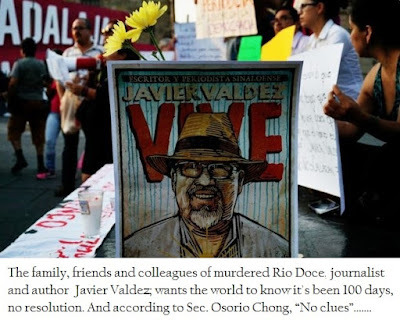 In this June 26, 2017 photo, local journalists gather for a press conference concerning the kidnapping of 8 people at an upscale restaurant, at the Sinaloa Attorney General's office in Culiacan, Sinaloa, Mexico,not long after the murder of Javier Valdez Cardenas, one of the Co-founders and inspiration for Riodoce. 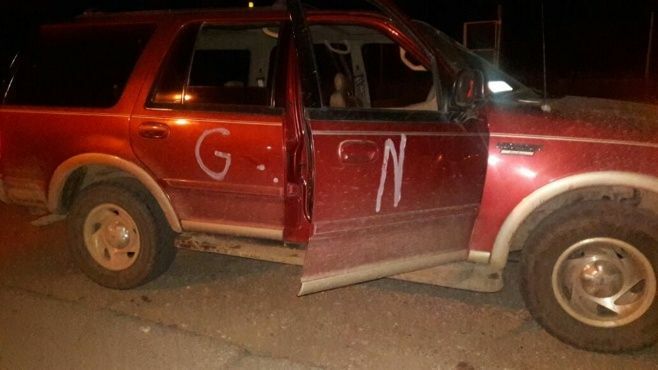 The Cartel Jalisco Nueva Generacion will dispute more territory with the Sinaloa Cartel after breaking its alliance with El Mayo Zambada, and taking control of Fuerzas Especiales de Los Damaso. The Cartel Jalisco Nueva Generacion is vying for control of the entire national territory. 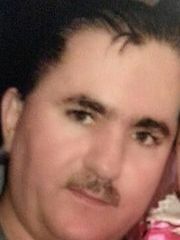 Unofficial sources from the Centre for Research and National Security (CISEN) presume that the break up of the organization led by Nemesio Oseguera Gonzalez, El Mencho, with the faction of the Sinaloa Cartel headed by Ismael Zambada Garcia, El Mayo, with whom he had an alliance after the recapture of Joaquin Guzman Loera, El Chapo, in January of 2016. 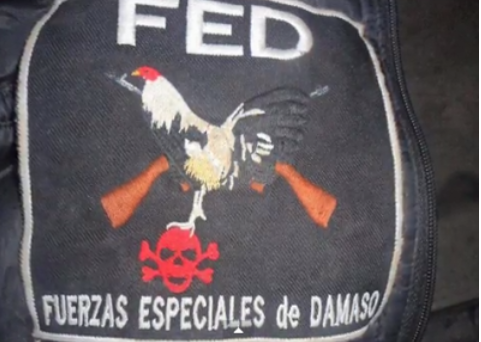 The breakup of the two cartels, the two most important in drug trafficking in Mexico, could have been motivated by the recent delivery to the US authorities of Damaso Lopez Serrano, El Mini Lic, head of the Los Damaso faction of the Sinaloa Cartel, after the capture of his father, and head of the Fuerzas Especiales del Damaso. FED had allegedly been transferred to the control of the CJNG. 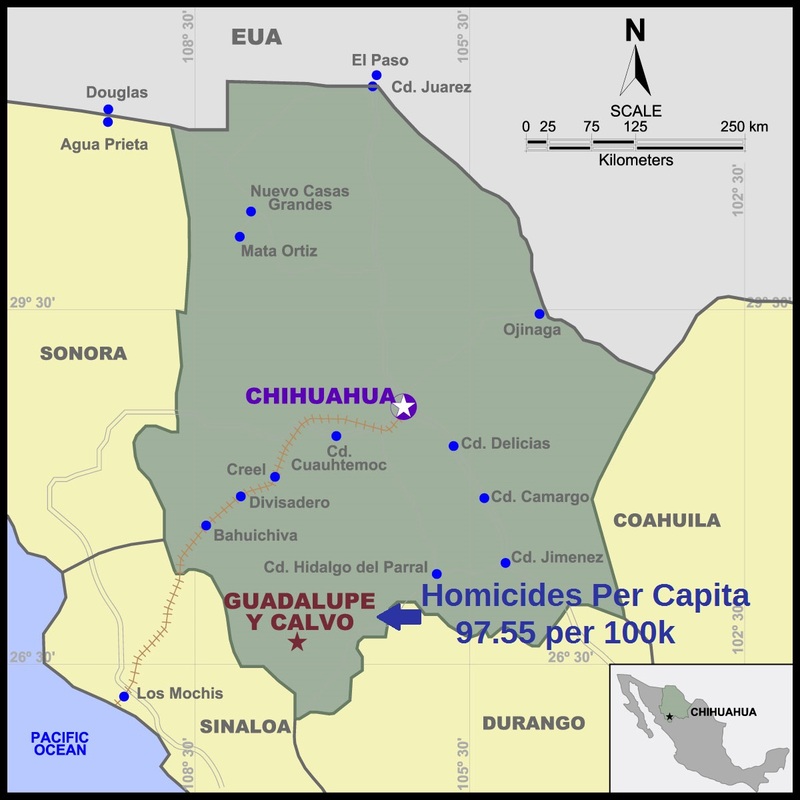 Mexico's Deadliest Town. Mexico's Deadliest Year. 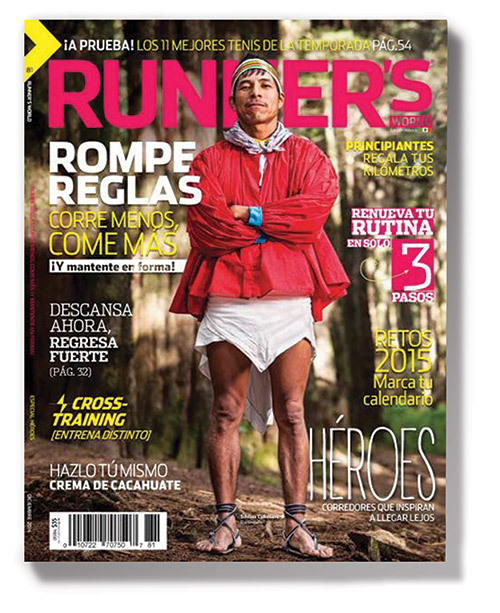 One Million Peso Reward Offered for "El Bukanas"